Our Richards Landing Showroom is where we like to meet our clients, to show them our products and services, and to plan their projects. The space allows us to keep dock samples on display year-round, as well as offer essentials such as lifejackets, safety equipment and marine accessories. 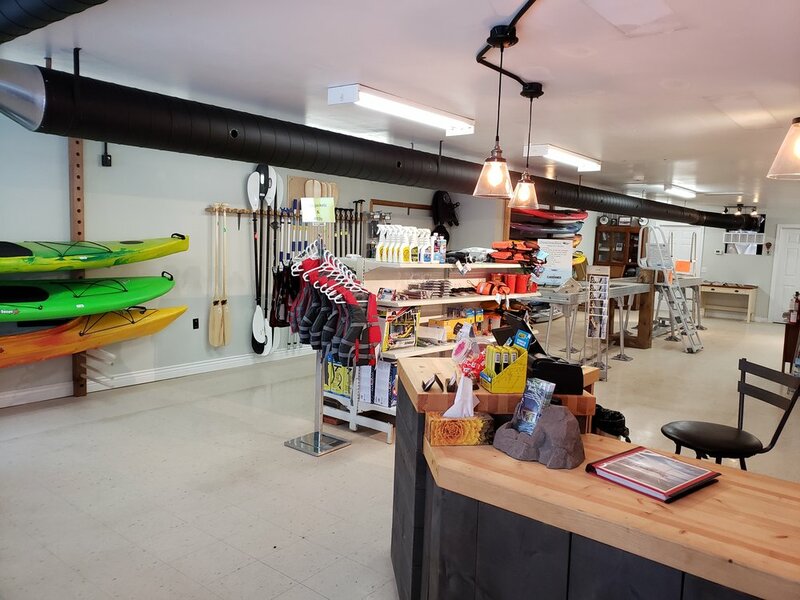 Our newly installed racks allow us to keep an inventory of SUPs and kayaks on display as well. By appointment only. Please use the contact link to set up a time to meet.